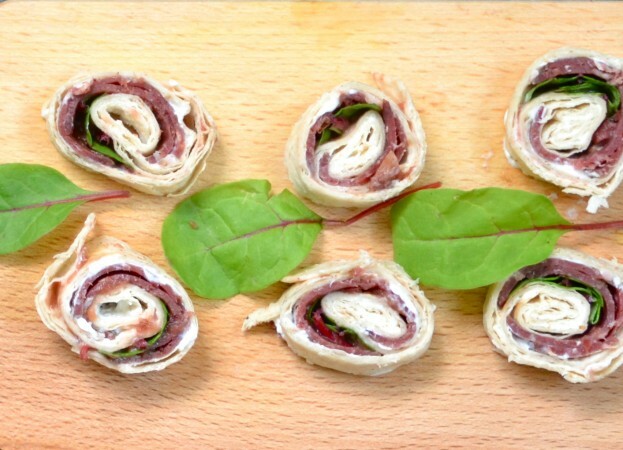 Spread a wrap with soft cheese and layer 5 slices of salami in the middle. Spread the relish over the salami and top with salad leaves. Firmly roll the wrap in a cigar shape and roll this very tight in cling film twisting the ends. Refrigerate for an hour or two to firm up before slicing in small rounds.